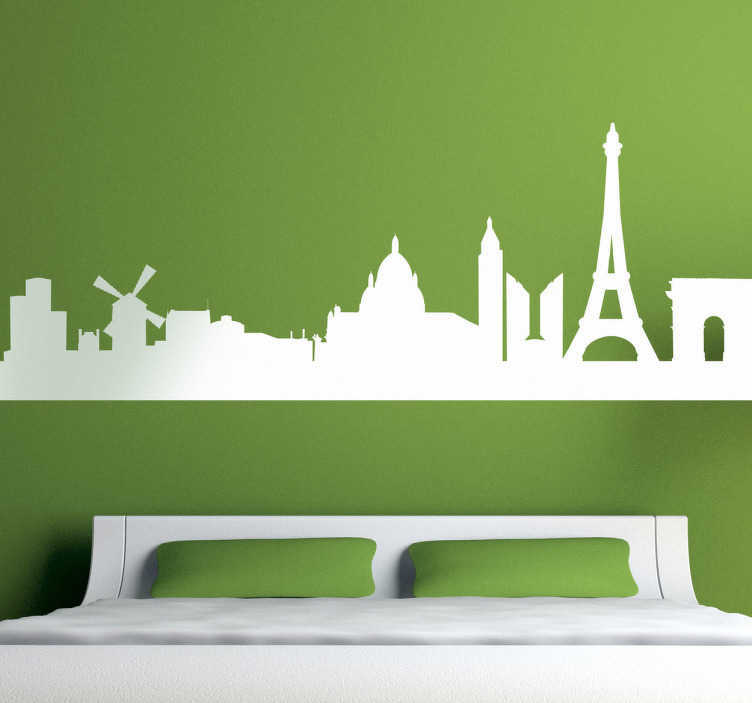 Paris Wall Stickers - featuring the amazing skyline of the French capital. Decorate your living room or bedroom with the romantic city. The skyline silhouette features your favourite landmarks in France such as - The Moulin Rouge, The Eiffel Tower, Notre Damme and the Arc de Triomphe. Travel to Paris with one of our special travel wall stickers. Choose the size that best fits the room you want the France decal in and choose from up to 50 colours.